A fairly interesting discussion of sortition can be found here. The top post makes an argument for sortition which is based on the idea of using randomness to deny an opponent a winning strategy. I pursued a similar line of thought here. Kevin Mooney wrote to point out an article in the Ottawa Citizen. In the article Royce Koop, an associate professor in the Department of Political Studies at the University of Manitoba, argues against repeating the electoral reform process carried out in British Columbia and Ontario provinces. Koop makes two arguments. The first is the somewhat tautological point that “tak[ing power] from elected representatives and giv[ing it] to the people […] threatens representative democracy by taking decision-making power from MPs and handing it to citizens, [while] representative democracy is best served by allowing MPs to represent the interests of their constituents through their votes, rather than by seizing MPs’ power and handing it to citizens”. [T]he use of citizens assemblies and referendums would have the effect of allowing politicians to escape from being accountable to the public for their actions. Below is a release regarding an upcoming research project that focuses on the way that communities experience the shift from elections to randomly selected governance models, using Democracy In Practice’s work in Bolivia as a case study. Thought it might be of interest to the group! 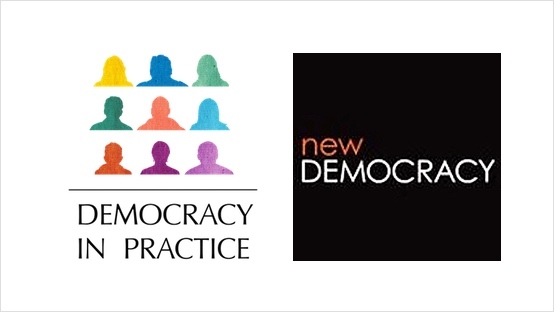 The research project, occurring under the auspices of Simon Fraser University in Canada and running from October 2015 to June 2016, will use Democracy In Practice’s student government-based projects as case studies to explore the shift from elected governments to those that are randomly selected and rotated. The research team will conduct empirical research to explore how various stakeholders – students, student government members, and teachers – experience and interpret the replacement of a hierarchical election-based student governance system with one based on random selection, rotation, and deliberation among equals. The projects that will be studied are now in their second year of operation in Cochabamba, Bolivia.